In the UK, cosmetic eye surgery is not available on the National Health Service so if you want to improve the look of your eyes, private cosmetic surgery is the only option available. Most medical insurance policies do not cover cosmetic work, so the vast majority of people who want cosmetic surgery in the eye area pay for the treatment themselves. 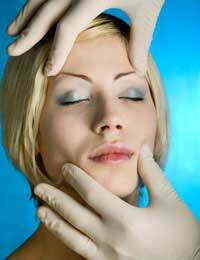 The cost of cosmetic surgery in the UK varies depending on the hospital and the surgeon. Although different types of eye surgery can be obtained in Europe and in countries such as Thailand, India and Korea at a much cheaper rate, some people prefer not to travel abroad for their treatment. Others like the idea of combining what is a fairly minor operation with an exotic holiday. As we get older the skin above the upper eyelid tends to sag and go creped; the skin and fat under the lower lid loosen too, causing bags under the eyes. Both of these effects have an aging effect on the face and this can be reduced by an operation known as a blepharoplasty. It is possible to have an upper eyelid lift independently of work on the lower eyelid, but, in practice, most people have work on the upper and lower eyelids done at the same time. The procedures can be done as part of a complete face lift, in which the skin of the face may also be lifted and remodelled and the brow lifted. Having a brow lift and a blepharoplasty is also a popular option. Laser eye surgery is another common option to immediately reverse the effect of ageing on close vision. The LASIK and LASEK procedures are widely available and involve superficial laser treatment on the front of the eye. It is also possible to have full eyelash transplants, although these days most people find it far cheaper to have cosmetic eyelash extensions or to wear false eyelashes as these are much more believable than they used to be. The cost of a blepharoplasty in the UK is somewhere between £2800 and £3800. In Thailand the cost of an upper eyelid lift is around £400, with the same cost again for an upper eyelid lift. During the procedure, the skin of the upper eyelid is reduced to give a more alert expression and the eyebrows are lifted slightly. The operation on the lower lids can be done from inside the lower eyelid, so there are no external scars. An incision is made below the eye to remove the fat and excess tissue and the skin is tightened. A brow lift done on its own to lift and tighten the skin of the forehead and to raise the eyebrows can have a dramatic effect on eye appearance. It is around the same cost as cosmetic eyelid surgery, but having the two procedures together will not double the cost as there is only one session in the operating theatre. In the UK you can expect to pay between £3000 and £4000. Again, prices are lower elsewhere – about half that in mainland Europe, and less than a quarter of the price in Thailand. If you have LASEK eye surgery in the UK you can expect to pay about £800 per eye. More sophisticated methods such as UltraLASEK, which uses a very precise laser technique, costs up to £1500 per eye. LASIK treatments are more expensive, with prices of £2000 to £2500 not uncommon. Prices abroad are lower; in Thailand you can save around half of the cost but the cheapest place for laser eye surgery in the last couple of years has been Hungary – prices there are around a quarter of having the operation done by a UK private surgeon. Finally, eyelash transplants. These, predictably, have been popular in the US for years but have only really become available in the UK since about 2008. They can be done for medical reasons – people who have cancer treatment or illness that affects hair production can have eyelash and eyebrow transplants to regain a normal appearance. They are also used cosmetically but this is a very expensive alternative to other eyelash treatments – having a full set of transplanted eyelashes is likely to set you back at least £2500. I'd like to know cost involved and if you do rhino surgery for the nose to straighten a hook. I'd like to know if you can transfer fat to the bottom of the eye or tighten the eyes to get the closed Chinese effect. I had caught a disease that has made my eyes bulge and stick out more than usual and I want it levelled out and go back to being attractive. So I want a smoother look beneath my eye so it looks flatter and less bulge and the eyes closed.